Quick & Easy Rubbish Removal Quotes! Get a FREE quote, sent straight to your email. Fill in your details to get started! What is the Job Required? Auz Waste is Sydney’s local reliable full service rubbish removal company that has years of experience in the waste management industry. 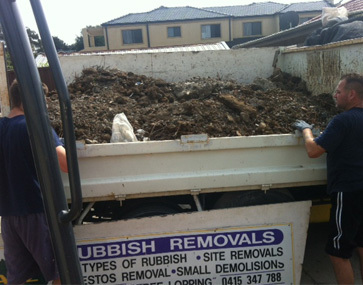 We are rubbish removal specialist from the Sydney area that provides fast, friendly, on-time pickup service that does make a difference in the performance of the work completed. Our professionals are waste management experts that not only take your rubbish off your hands; they do it in a manner that is the most convenient, and the tidiest. We not only load your rubbish, we clean the area afterwards, and leave it as clean, if not cleaner than it was when we arrived! Whether you have junk on your residential property or your commercial property we are the specialists in clearing it off your land! Our services include labour, hauling, waste disposal, rubbish pickup and recycling solutions. We are experts in the removal of household items, appliances, furniture, landscape material, garage items, demolition debris, and construction debris. We work with leading commercial customers and residential customers accepting many different types of rubbish. 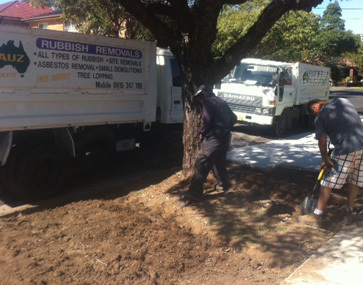 We offer on-demand rubbish removal services- Our customers have the courtesy of fast service. 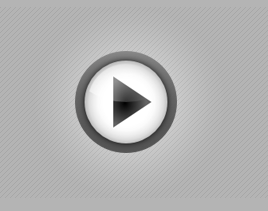 If you need same day service, we WILL do our best to ensure that we are there within the day. You also have the service to schedule a pickup. We provide FREE, no obligational quotes on each job our customers’ request. First Rate Equipment- At Auz Waste we have the highest standards and latest equipment within the industry. Eco Friendly Company- Auz Waste is committed to serving you and being friendly to the environment! We recycle up to 50% of the rubbish we remove. We not only recycle, we make every effort to donate items we haul away to charitable causes. What You See Is What You Get-With Auz Waste, we don’t tack on additional costs, or hide hidden fees. The price we give you is the price you will pay. Accommodating- There’s no job too big or too small for Auz Waste. We can handle it all! When you need a Sydney rubbish removal specialist, Auz Waste can provide the services you require. We are rubbish removalist Sydney specialists that get the job done! We understand that rubbish comes in all shapes and sizes, and it’s not always the most appealing job to perform. 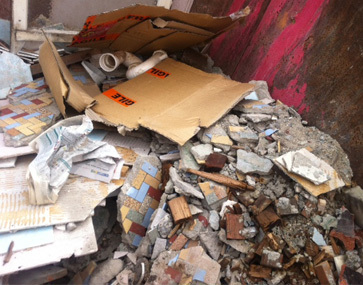 At Auz Waste, we provide specific services for your rubbish removal. We have the knowledge, the courteous professionals, and the equipment to make a difference in the performance of the job. Give us a call today to see how we CAN help you!